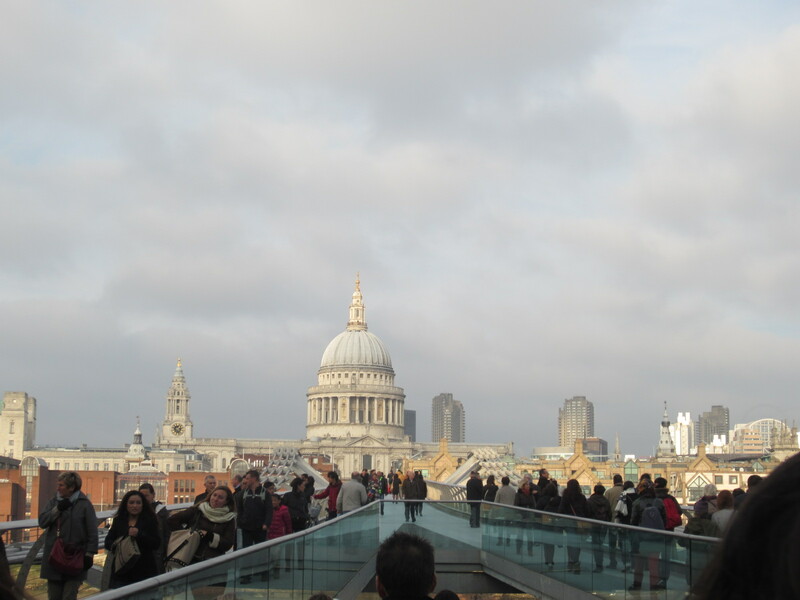 If the walls of St. Paul’s Cathedral in London could talk, they would tell you about notable weddings (such as Prince Charles and Lady Diana in 1981), funerals (including Prime Minsters Winston Churchill and Margaret Thatcher) and not one but two “great fires” that threatened the cathedral’s very existence. 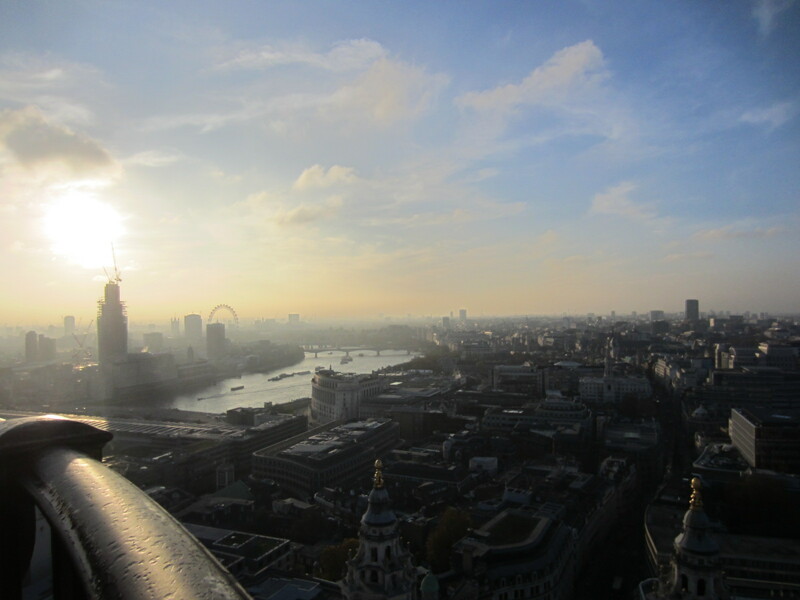 In 1666, the Great Fire of London swept through and essentially gutted the center of the city, including St. Paul’s. The cathedral was later rebuilt thanks to architect Christopher Wren (who is buried in the cathedral’s crypt), but was threatened again nearly two centuries later during the London Blitz air raids in 1940. 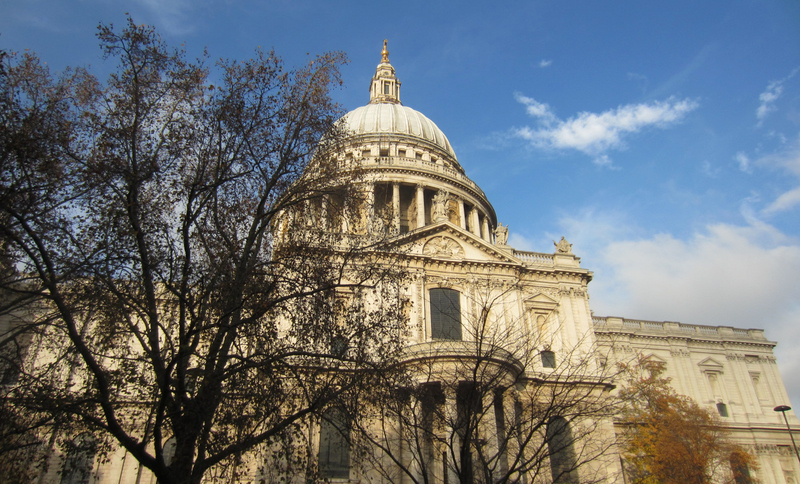 Churchill ordered that St. Pauls’ be saved at any cost, and dedicated firefighters managed to protect the cathedral even though the surrounding neighborhood was essentially flattened. Check out the image on the front page of the Daily Mail from December 30, 1940. 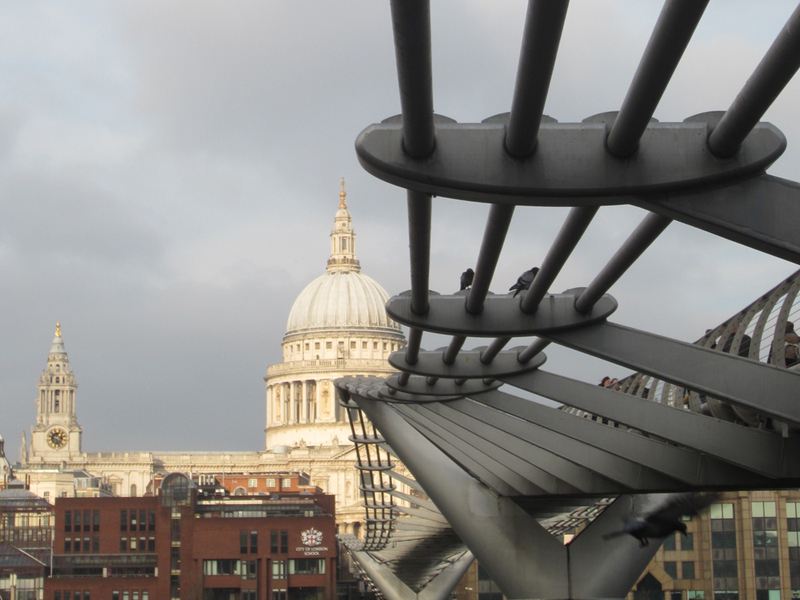 Approaching St. Paul’s from the South Bank, stand next to or on the Millennium Bridge to capture a photo of the cathedral’s unmistakable dome framed by the steel suspension bridge (even better when there aren’t any crowds). 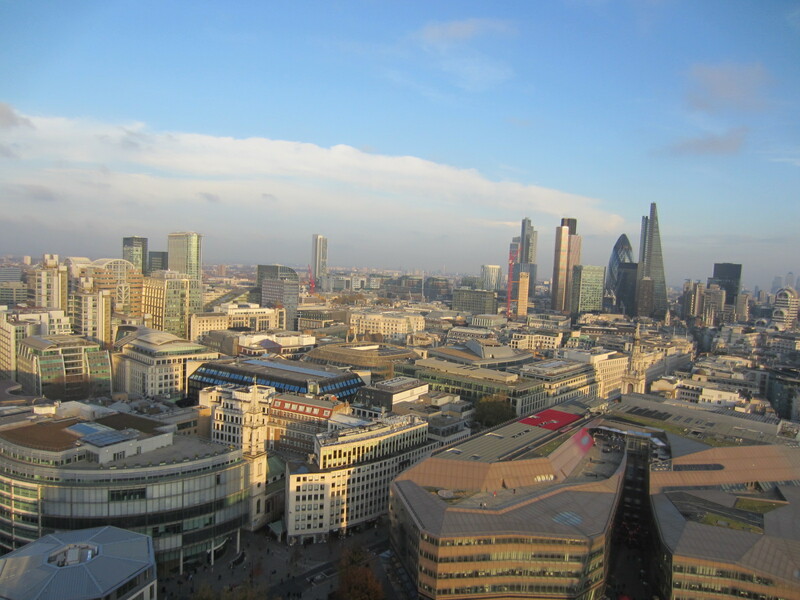 After touring the inside of the cathedral, make the 528-step climb to the top of the dome for a 365-foot high bird’s-eye view of London (even better if you go late afternoon right before sunset).